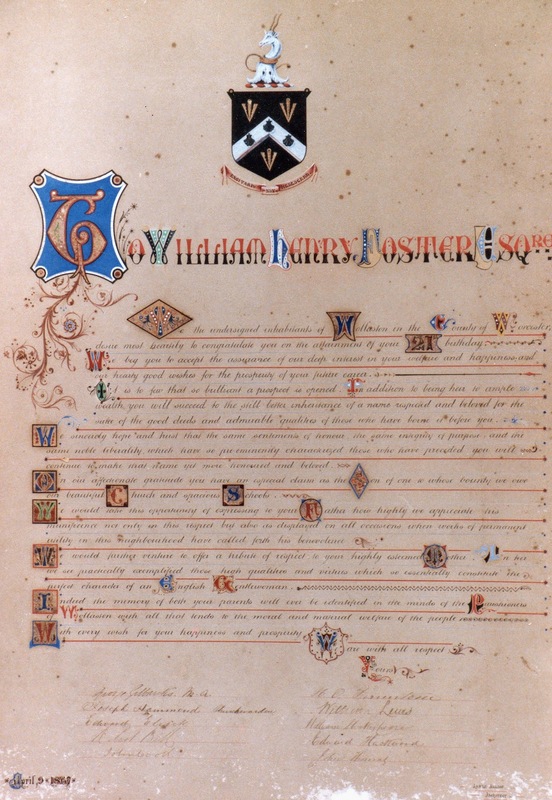 On 9th April 1867 William Henry Foster was 21. 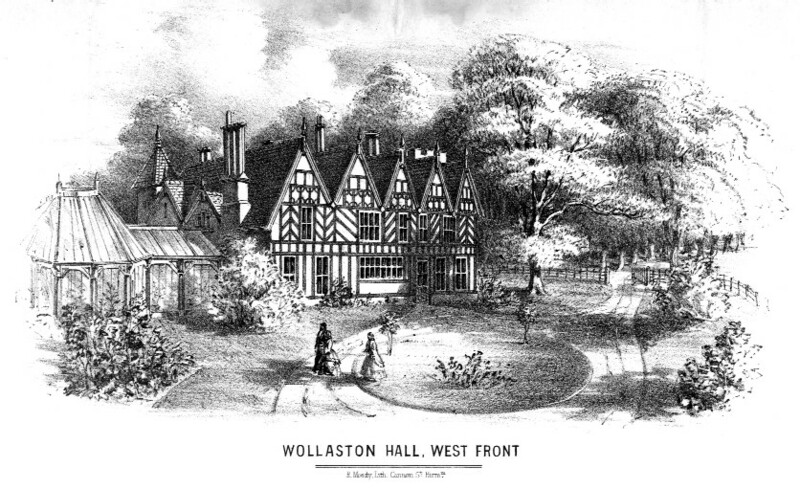 The people of Wollaston prepared an address and the signatories were:- George Gilbanks, MA, Joseph Hammond- churchwarden, Edward Elcock, Robert Bill, John Cook, H.O.Firmstone, William Lewes, William Shakespeare, Edward Hackwood and John Thomas. George Gilbanks was the Vicar, Henry Firmstone lived at Wollaston Hall and Edward Hackwood was the headmaster of the Boys’ School.